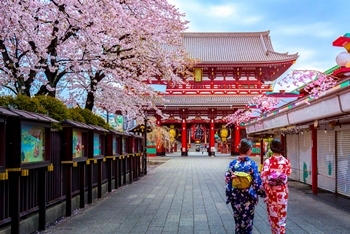 This Japan tour is a must for travellers who enjoy history, beautiful settings, and fascinating architecture. 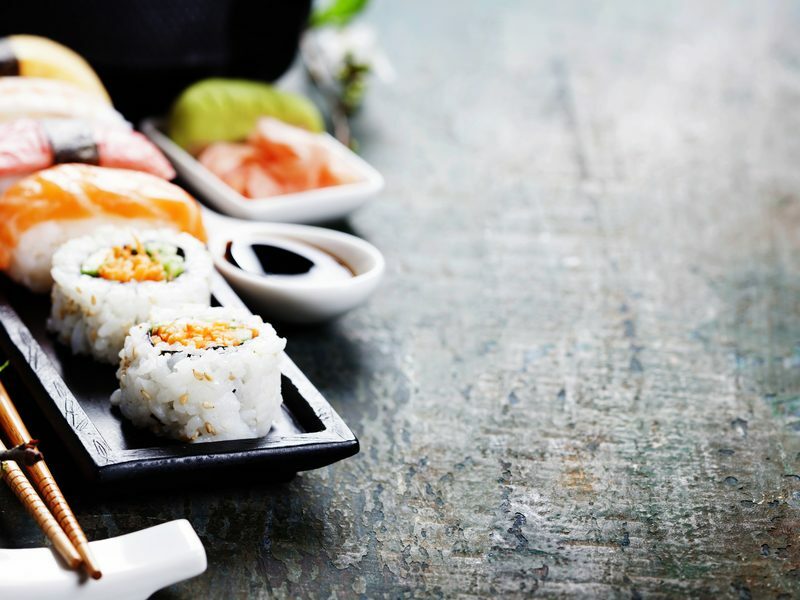 You’ll start in Tokyo; end in Osaka, and overnight along the way in the Mount Fuji area, Kyoto, and Hiroshima. Welcome to Japan's capital city. Meet your Tour Director and the day starts with a visit to Meiji Shrine, a magnificent 20th-century Shinto monument set in a man-made forest. Next, visit Shinjuku Gyoen Garden. Originally dating from the early 1600s, the garden was destroyed in World War II and reopened in 1949 as a public park. Last stop is the Asakusa Kannon Temple and the bustling Nakamise Shopping Arcade. The balance of the afternoon is at leisure. This morning, leave Tokyo and head south along the coast to Kamakura to see the 750-year-old Great Buddha. 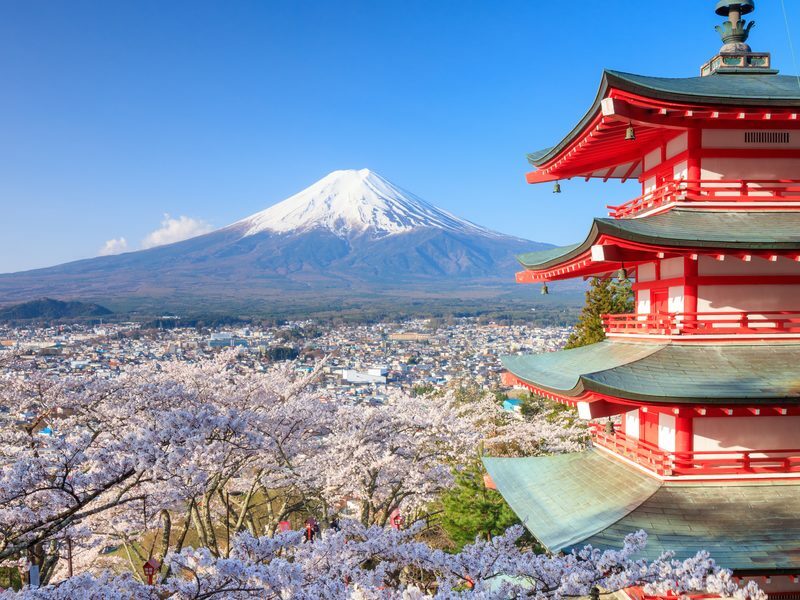 Continue on to the Mount Fuji area for a cruise on Lake Ashi, followed by a cable car ride (weather permitting) for panoramic views of spectacular Mount Fuji, Japan's highest mountain. This morning, board one of Japan's famous bullet trains bound for Kyoto. Upon arrival, visit the fushimi Inari Shrine, renowned for the thousands of brightly coloured Torii Gates. This evening, you may choose to stay in a traditional Japanese ryokan (additional expense). Your day begins with a visit to Niji Castle, built in 1603 as the official residence of Shogun Tokugawa Ieyasu. Then, visit stunning Kinkakuji, the Temple of the Godd Pavilion, covered in shimmering gold leaf. Lastly, visit Kiyomizu Temple, the "Pure Water Temple," with stunning views over Kyoto. Along the way, walk through the busy streets where shops and restaurants have been catering to pilgrims for centuries. The morning is at your leisure to explore more of Kyoto's historic temples and shrines. This afternoon, drive south to Hiroshima. Today's sightseeing starts at Peace Memorial Park, a UNESCO World Heritage Site. See the Peace Memorial, commonly referred to as the Atomic Bomb Dome, that has been preserved just as it was on August 6, 1945, immediately after the bombing. You will also visit the Memoial Museum & Memorial Hall, which memorialise the lives lost that day. 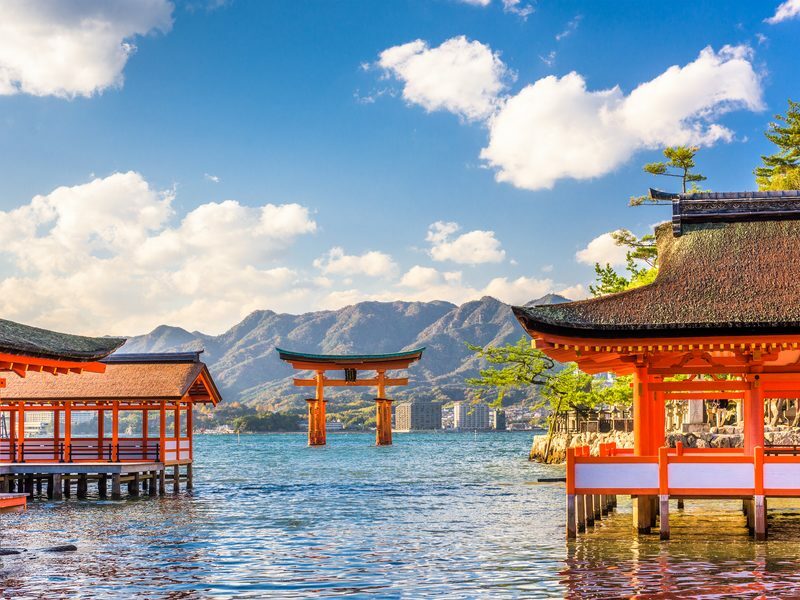 Next, join the afternoon excursion to Miyajima Island to visit Itsukushima Shrine, a UNESCO World Heritage Site known for its floating Torii Gate. 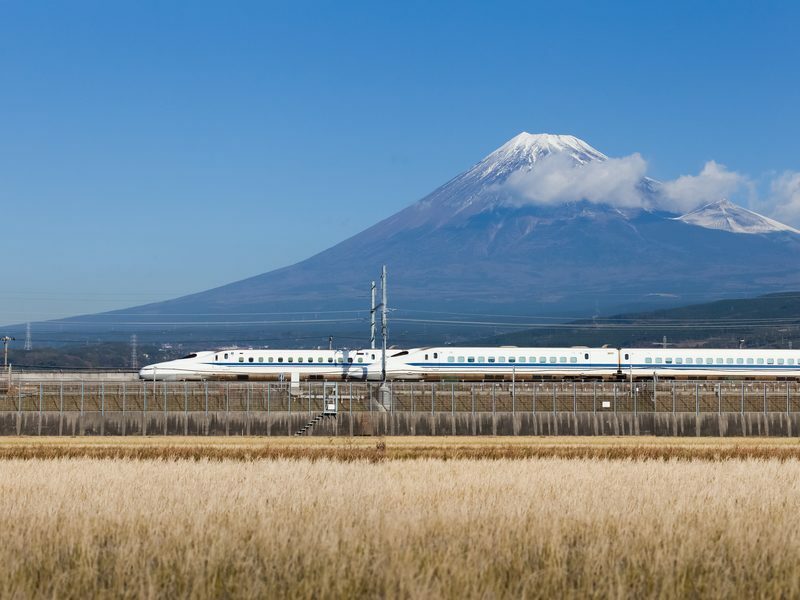 Hiroshima - Okayama - Osaka. Drive north to Okayama and visit Korakuen, one of the "Three Great Gardens of Japan." Covering some 30 acres, the garden features ponds, plum groves, and tea fields. A unique feature not typically found in Japanese gardens are the wide lawns which are said to help uplift the spirit and promote open mindedness. Continue on to Osaka and enjoy the evening at leisure. Your sightseeing tour starts at the open-air museum of old Japanese Farm Houses, where traditional thatched-roof farm houses dating from the Edo period have been restored. See the old architecture and be transported back in time. Next, visit Osaka Castle and take a walking tour in Dotonbori, the city's most famous entertainment district. The remainder of the day is at your leisure. Perhaps return to Dotonbori this evening to sample some local cuisine and see the sparkling neon lights. Prices listed are per person in Australian Dollars, based on twin occupancy, including all discounts unless otherwise stated. The offer is subject to availability at time of booking. Fares are capacity controlled and are subject to change at any time without notice. Prices/Offers are correct as at 09 January 2019 and can be withdrawn without notice. Visas are not included. Airfares are based on economy class flights from Sydney and subject to the carriers’ flight schedules and conditions, please call us for prices from other cities. Payments made by credit card will incur a surcharge.